These love birds are tying the knot! This pillow will be personalized with the bride's and groom's names and wedding date. Since it is made to order, the colors can also be adjusted to match the wedding colors! 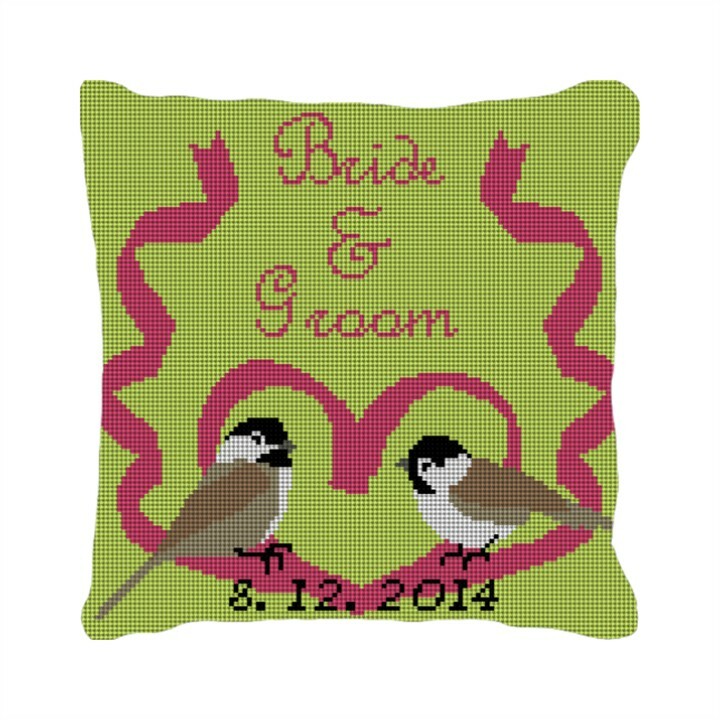 Please be sure to add the details for the wedding into the notes, and we will create a preview of your pillow and email it to you for your approval before the stitching begins.